Seattle singles may not be surprised to hear that for the second time in a row, the city has been named “America’s Worst City to Find Love” by the Great Love Debate podcast, a touring series of town-hall-style events that’s returning to the region next month. Solo Seattleites earned low marks across the board for lack of communication, confidence and optimism, according to staffers behind the podcast, who used a formula weighing the opinions and demographic data from more than 92,000 singles over the past five years and millions more who have listened to Brian Howie’s podcast. 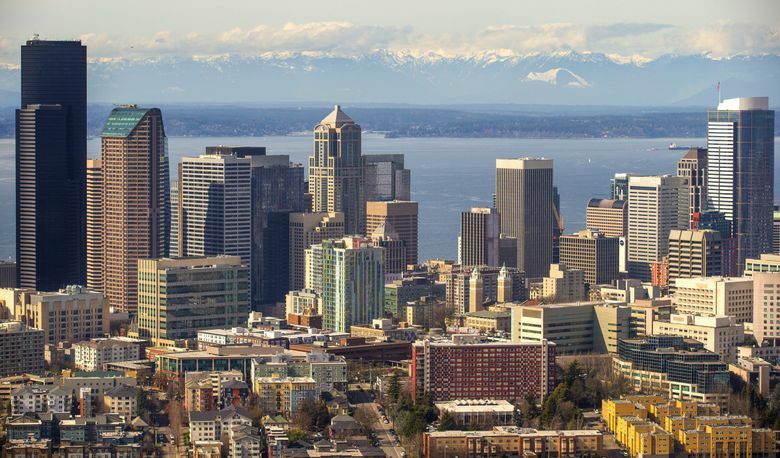 This phenomenon in which we don’t connect well to each other, known by some as the Seattle Freeze, has long been recognized. Reasons for the Seattle Slump or the dating doldrums are many, according to numerous articles published in The Seattle Times through the years. Among them, according to a 2004 article by Diane Mapes, are women’s belief that men here are too passive and men’s belief that women are intimidating. In addition, both groups may be “too busy climbing Mount Rainier to so much as say hello,” Mapes wrote. This is not to say that singles cannot find successful matches here, just that it may take more perseverance, straightforwardness and cleverness than is required in other cities. As you continue your quest to thaw the freeze (or if you just need something to do with the new friends you’re making), get out and explore your city! Check out the Seattle Newcomers Guide for info on neighborhoods, food, public transportation, housing and more. Seattle’s status as a dater-friendly city really depends on how you look at it. Seattle last year was ranked the sixth best place for singles to find love according to a WalletHub study that was based more heavily on the city’s economic health and wealth of dating-appropriate activities, rather than perceptions of individuals who live here. Information from The Seattle Times archives is included in this report.